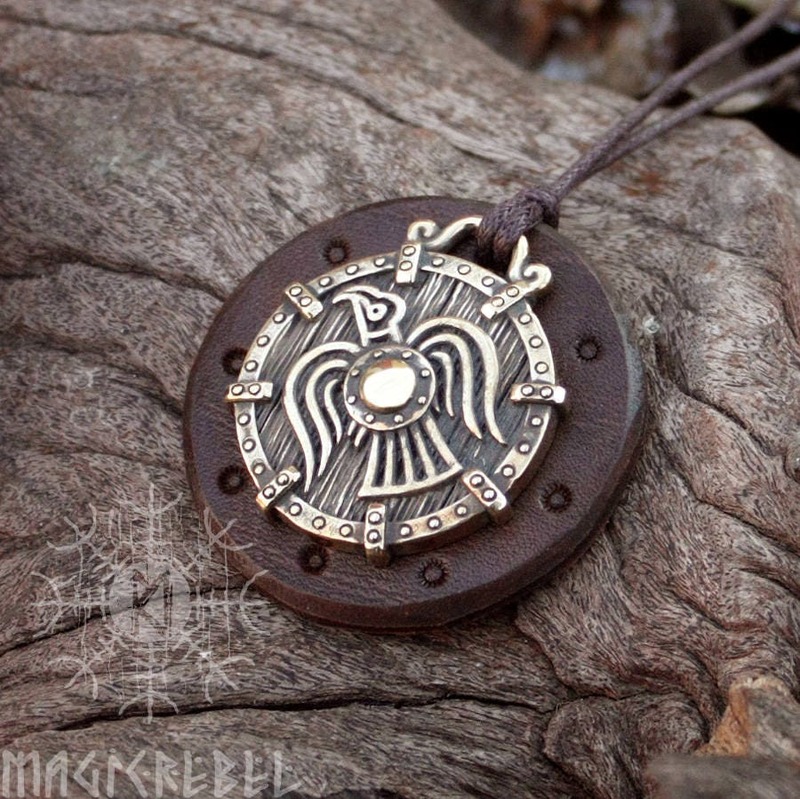 This is a real solid bronze hand-crafted antique finish pendant. 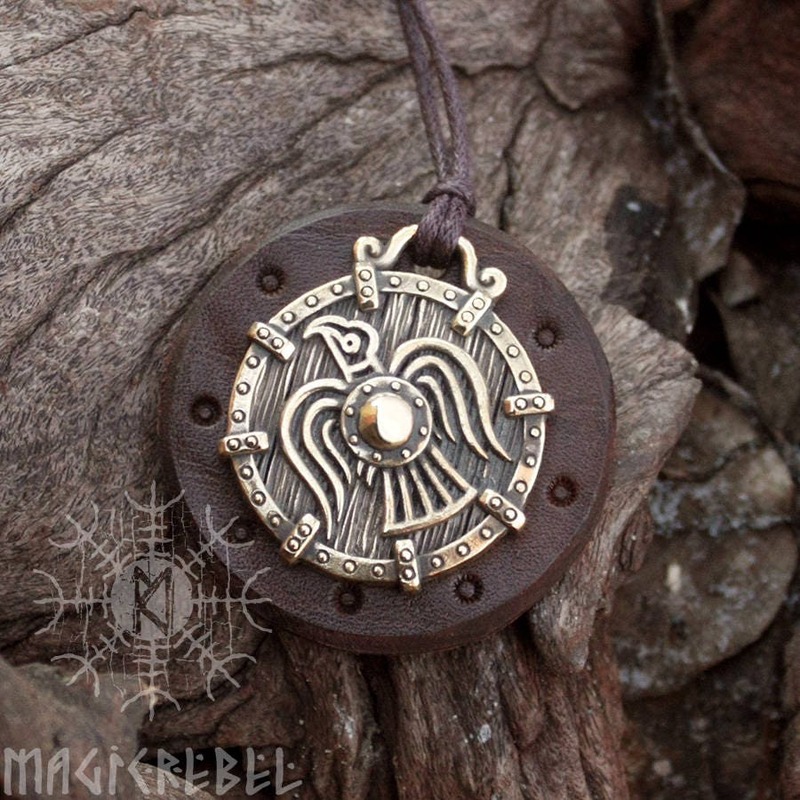 A raven symbol is taken from an ancient image from a penny minted by Olaf Cuaran, appears to represent the Viking war standard, the raven, probably derived from the Roman aquila. The raven banner was a flag, possibly totemic in nature, flown by various Viking chieftains and other Scandinavian rulers during the 9th, 10th and 11th centuries. The flag, as depicted in Norse artwork, was roughly triangular, with a rounded outside edge on which there hung a series of tabs or tassels. 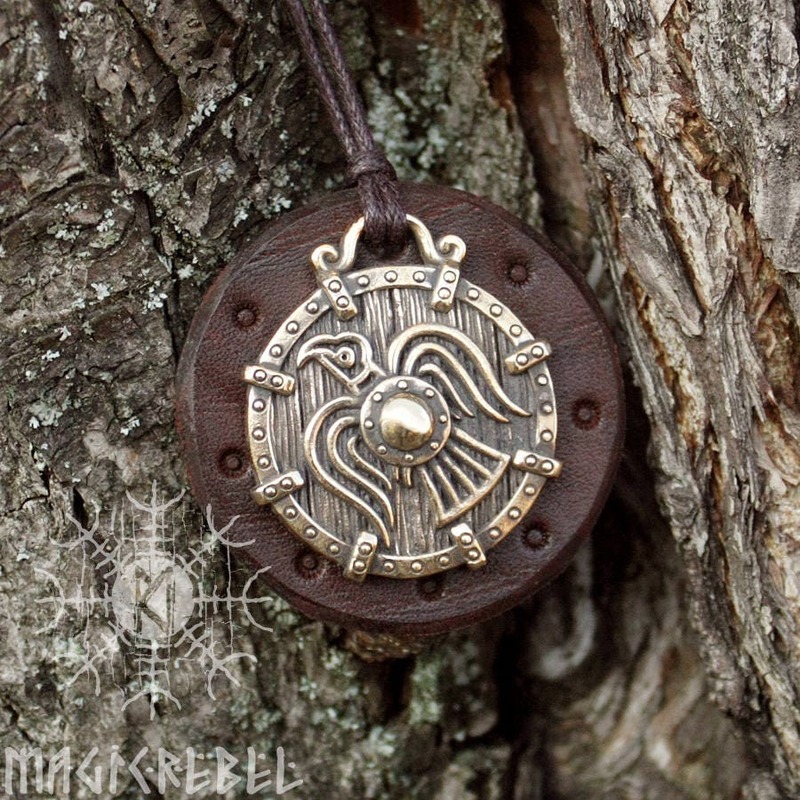 It bore a resemblance to ornately carved "weather-vanes" used aboard Viking longships. Odin was also closely linked to ravens because in Norse myths he received the fallen warriors at Valhalla, and ravens were linked with death and war due to their predilection for carrion. It is consequently likely that they were regarded as manifestations of the Valkyries, goddesses who chose the valiant dead for military service in Valhalla. A further connection between ravens and Valkyries was indicated in the shape-shifting abilities of goddesses and Valkyries, who could appear in the form of birds. 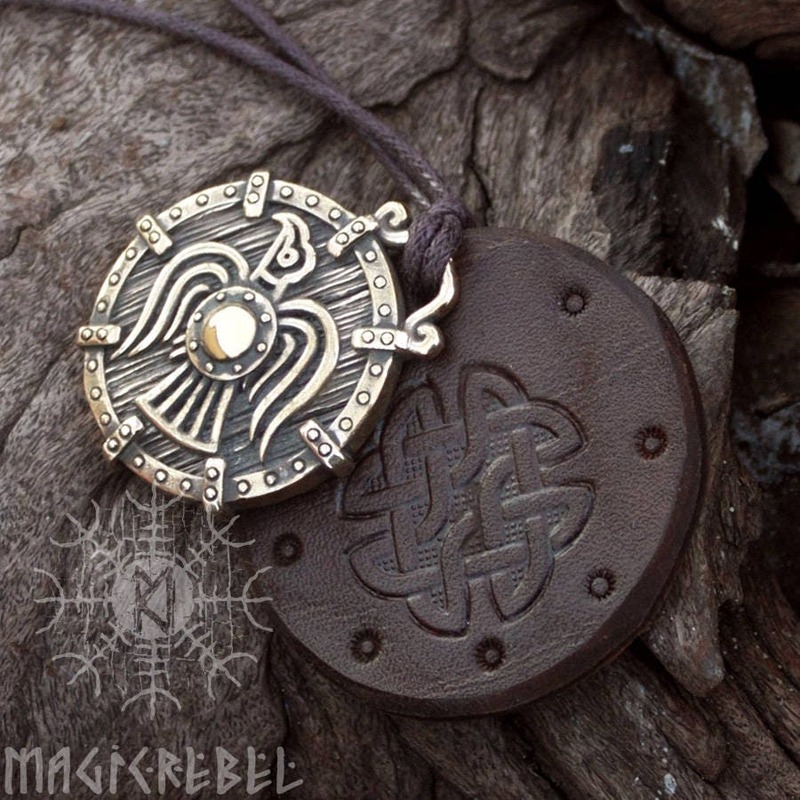 The pendant diameter is 1.25" or 31 mm. 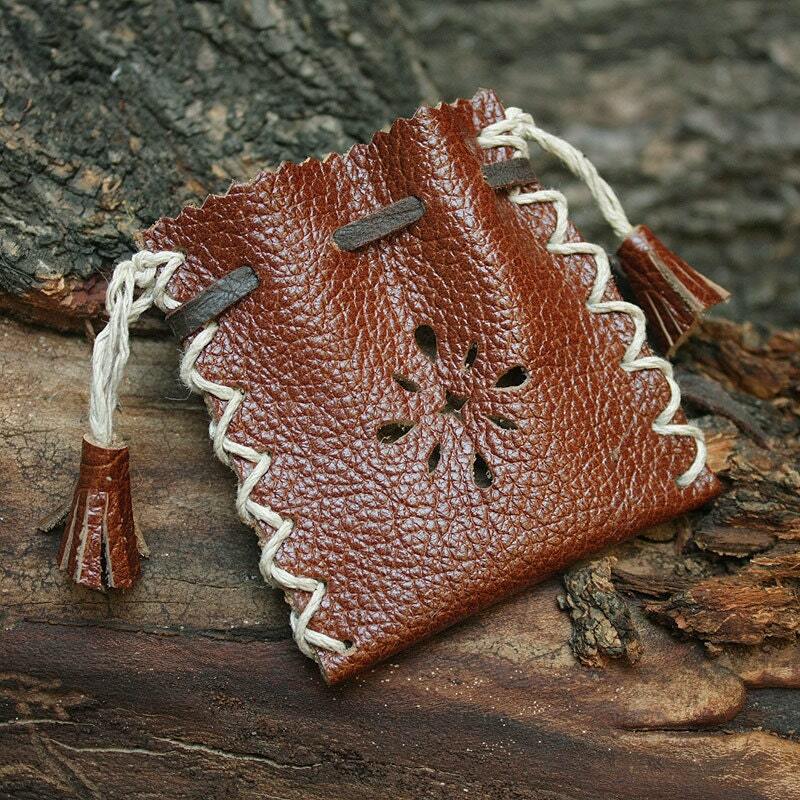 The bronze pendant is ox finished for antique look and comes with a leather backing and a brown waxed cotton cord. Thank you for checking out my listing! 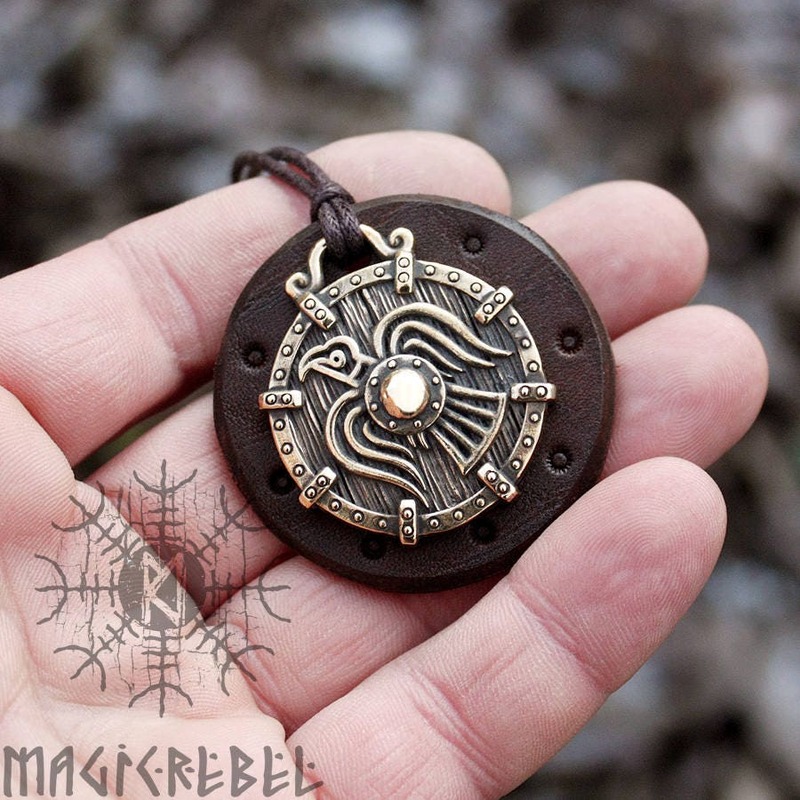 Please check my other bronze and forged iron pendants, rings, bracelets, runes and other handmade items.